Aitor Karanka has dismissed worries about Cristiano Ronaldo’s fitness, saying that ice was applied to the Real Madrid player’s ankle merely as a precaution. Ronaldo scored a hat-trick in Madrid’s 4-0 win over Getafe, netting in the 62nd, 65th and 72nd minute after Sergio Ramos opened the scoring shortly after half-time. 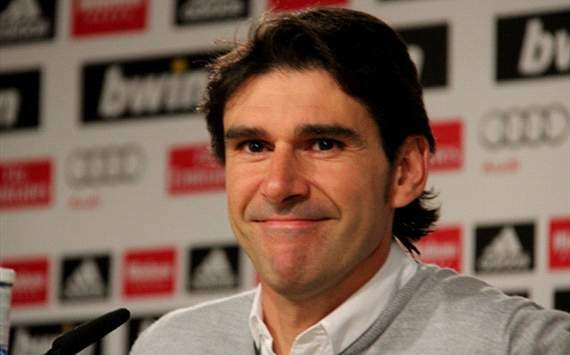 And Karanka pointed out that Ronaldo’s performance should remove any doubts about his fitness. “[We used] ice as a precaution and we haven’t removed it. His performance is there for all to see. Just look at the goals he scored,” he told reporters. Antonio Adan kept a clean sheet in the first match since Iker Casillas’ injury, and the goalkeeper was delighted to see Ronaldo return to aid Madrid’s second-half improvement. He said: “I didn’t have much to do and I’m happy with my performance. We were sluggish with our play in the first half but we still had chances. “In the second half, we put right everything that we failed to do initially. Their goalkeeper was the man of the match. Real Madrid sit third in the table on 43 points after Sunday’s victory.